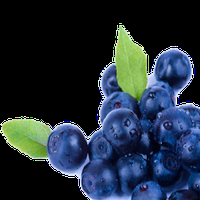 07 Mar 2016 --- Mazza Innovation Ltd. have announced the opening of its first large-scale commercial extraction processing facility in order to produce its PhytoClean Cranberry, Green Tea and Blueberry extracts as well as other clean label ingredients for its customers. Mazza’s process is a significant advance in environmental standards for extraction technologies. All three award-winning ingredients are produced using the PhytoClean Method that produces solvent-free, excipient-free and GMO-free standardized extracts that meet the industry’s highest quality standards.